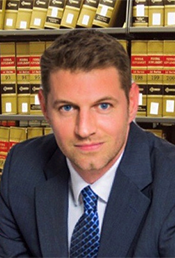 Nicolas Bagley is a partner and trial attorney at Friedman, Levy, Goldfarb & Green. Mr. Bagley began his career representing doctors and hospitals in medical negligence cases. He then used that knowledge and experience to represent catastrophically injured plaintiffs in medical malpractice cases as well as other areas of negligence. He handles a wide range of cases for the firm, including medical malpractice, general negligence as well as civil rights abuse cases. He has recovered millions of dollars for his severely injured clients and victims of civil rights abuses. His cases have been featured in the Daily News, NY Post and several other publications. Mr. Bagley graduated from New York University and earned his J.D. degree from Brooklyn Law School. Mr. Bagley is admitted to the Bar of the State of New York, the United States District Courts for the Southern and Eastern Districts of New York. He is a member of the New York State Trial Lawyers Association, New York State Bar Association, the Association of the Bar of the City of New York and the Bronx Bar Association where he a member of the Board of Directors and sits on the Judiciary Committee.